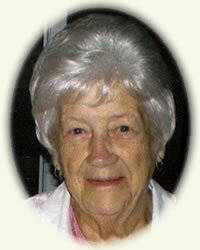 Obituary for Helen G. Taber | Rhoney Funeral Home, Inc.
Helen G. Taber, 96, of Sanborn, NY, passed away on August 28, 2018. Wife of the late Lawrence Taber, mother of Janet (Rupert) Pahl, Carol (Al) Bantelman, Sue (late Ronald) Wik, Lawrence (Kathy) Taber, Beverly (Rick) Rohloff, Gerry (Carl) Schaab, Drew (Wendy) Taber and the late James (Mary) Taber, sister of June Luedke and the late Ruth Jurwicz and Edith Saemanes, proud grandmother of 29 grandchildren, 49 great grandchildren, 11 great great grandchildren, also survived by many nieces and nephews. Her family will be present on Thursday from 2-7:30 PM at the RHONEY FUNERAL HOME, 5893 Hoover Road, SANBORN, NY, where funeral services will follow at 7:30 PM. Entombment will be held on Friday at 11:00 AM at St. Peter & Paul Cemetery, 264 South Union Road, Williamsville, NY 14221. Flowers are gratefully declined. Memorials may be made to Niagara Hospice, 4675 Sunset Drive, Lockport, NY 14094.